IDE/ATA 9.5mm Solid State Drive. 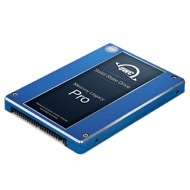 When only the fastest and most reliable Solid State Drive on the market will suffice for your data storage and backup, look no further than the OWC Mercury Legacy Pro SSD. Boot, load apps, and access data nearly instantaneously...tedious system responsiveness is a thing of the past! Enjoy award-winning ultra-efficient Block Management & Wear Leveling technologies that virtually eliminate any speed reduction over long term use of the drive. And with no moving parts to break or fail, the OWC Mercury Legacy Pro SSD offers uncommon ruggedness for notebook users with up to 100x greater reliability than traditional hard drives. One of the fastest Internal IDE/ATA 2.5″ SSDs available. "Mean Time To Failure" - We all know that nothing lasts forever. But that doesn't mean you shouldn't get the most out of your investment. OWC SSD with Durawrite™ Technology optimizes writes to the flash memory over conventional controllers increasing the overall endurance and reliability of the complete SSD. Highly intelligent block management and wear leveling also extends the overall endurance. With this technology, even MLC-based SSDs can operate for years in demanding use applications without daily write restrictions. This adds up to a MTTF that is higher than most enterprise class hard drives and SSDs on the market today. *The computers listed use an ATA-5 standard controller on the motherboard. This standard only recognizes drive capacities up to 128GB. The IDE/ATA computer use the ATA-6 standard which can recognize capacities larger than 128GB. This is completely different hardware, and there aren't any firmware updates that will allow an ATA-5 controller to see more than 128GB. Usually this is a common problem to computers that were available prior to 2003. Rating: 5/5 Amazing Legacy SSD November 26, 2017 I use this in my 12" PowerBook G4. It makes the machine absolutely fly now! It was a really simple upgrade too.. everything fit exactly like the original drive. The capacity is twice what the original slow mechanical drive had too! Rating: 5/5 Stable and fast July 2, 2017 Good build quality, the right height for my old iBook's innards, enabling it to run silently and fast! Rating: 5/5 It's FAST April 5, 2017 Nice upgrade to my aging 2005 PowerPC Mac Mini. Works well and speeds everything up. This was a scary upgrade for me, involved cracking the case for the first time. But it all went well - eventually. Took me two tries though. After my first effort nothing worked: new HD and new optical drive not visible. Oh boy, I thought I had ruined something in the Mac Mini. But I cracked it open again and discovered that I had not fully seated the HD into its plug. Once corrected and reassembled everything works like a charm. Doing it the second time was so much easier, now that I knew what to expect. (How-to video is very helpful.) Will not hesitate in the future to crack open the Mini again. The SSD is a great upgrade. I appreciate that OWC has good advice on the site as to which is the correct product for my specific Mac Mini. Rating: 5/5 Largest IDE SSD that I can find December 9, 2016 I got this 480 Gb SSD for my Power Book G4 1.67 Ghz 17 inch Hi-Resolution laptop. It is very fast and much larger than the 120 Gb that came stock. I have been very pleased with the performance. Rating: 5/5 Best choice for IDE SSD - Legacy 480GB SSD October 29, 2016 This is an excellent drive, faster and potentially more durable than a spinning hard drive. The Legacy 480GB SSD is probably the largest size you can currently buy for that older, obsolete laptop that you still love, but has an internal IDE drive. Just make sure you don't have the 138GB limitation (if you are limited, you can still use the Legacy 120GB drive). Read/write speeds will likely be dictated by your system board architecture,.rather than the performance of the Legacy SSD. For a ThinkPad T42p (Intel 855/ICH4 chipset) I saw R/W results increase from 50-60 MBPS (WD250GB/5400 rpm) to 75-85 MBPS for the Legacy 480GB SSD. Actual values are also dependent on your test software (I was using PC Wizard 2010). As far as dealing with OWC goes, they are one of the very best online computer stores on the Internet. I have dealt with them for around 15 years without any problems or complaints, including the really infrequent returns. I have even purchased Macintosh items from them. They're really the best. Rating: 5/5 SSD way to go September 18, 2016 Installed the SSD 60GB in a PowerBook G4, model 5,4 with 2GB ram. The original HHD 80GB drive was showing it's age. I still use this old mac to run Apple Works / Claris Works Database programs and mail merging. The SSD 60GB was best bang for the buck and the 60GB is plenty big for my needs. It runs much faster now, especially when I have multiple programs open like, AppleWorks, Pages, Numbers, Safari and Mail open at the same time. Before the upgrade it was better if I only used one program at a time and no more than two opened at the same time because the read/write time was very slow. Rating: 5/5 My powerful mac mini G4 with this SSD! April 12, 2016 Nowdays SSD in sata 3 is really popular, but I want to upgrade my mac mini G4, unfortunately it is really difficult to find this IDE/ATA SSD. Fortunately, OWC has offer an upgrade for mac mini G4 and i choose this one and really worth it! Through the software installation it's really super duper fast with this SSD!!! I would recommend this item to a friend! This review is from 120GB Mercury Legacy Pro 2.5-inch 9.5mm IDE/ATA Solid-State Drive. Rating: 5/5 Put New Life in 15 Year Old Apple Laptop December 9, 2015 My 15 year old Apple (Bronze/FireWire) wasn't getting much use and it was running OS X 4.11(Tiger) that was taxing it so much I was getting a lot of spinning beachballs. Until I ordered the 20GB Mercury Legacy Pro 2.5-inch SSD. It's still early days yet but I hope it will prove to be durable as well as speedy. With the 20GB Mercury Legacy Pro 2.5-inch SSD, it feels up-to-date with nary a hiccup! Boot up is quick, disk access amazingly blazing--my old laptop feels new again!! Thanks OWC for supporting legacy hardware! Rating: 5/5 New life for Powerbook G4 August 24, 2015 Installed 240GB SSD in Powerbook G4, 2GB RAM. OS 10.5.8 Boot is faster(and silent), read/write speeds faster, greater capacity than previous 100GB ATA mechanical drive and general performance similar to more modern computer. The install video was comprehensive, accurate and saved the cost of a technician. Upgrade has allowed me to keep the peripherals I have collected over the years(Firewire 800/400, USB, iRig MIDI, audio/MIDI interface) and prevented huge cost of replacing software/computer. I'll get another 5 years from a system I know well. I would recommend this item to a friend! This review is from 240GB Mercury Legacy Pro 2.5-inch 9.5mm IDE/ATA Solid-State Drive. Rating: 5/5 Nice boost for old PowerBook March 8, 2015 My old PowerBook Titanium has served me well as a second computer for legacy software but needed a little boost that the Mercury Legacy Pro SSD provides very nicely. Installation was easy with one minor glitch that an OWC technician helped me resolve. The SSD is slightly wider than the old hard drive, so the cable did not line up properly. Leaving out two of the rubber grommets as suggested by the tech resolved the problem. (This should not cause problems since the SSD does not need shock absorption like a hard drive would.) I am very happy with the slight boost in speed and the much larger storage capacity. Rating: 4/5 Great for New World ROM Powerbooks February 13, 2015 Bought two of these 60BG drives, one each for a Wallstreet and a Pismo laptop. Works great in the Pismo... faster start-ups, longer battery life. Unfortunately, the Wallstreet won't recognize the drive (Old World ROM issues? ), so I have a spare. Also bought the 120GB version for an early 2005 12" G4 Powerbook and have had the same positive results as with the Pismo. Rating: 4/5 Great product for New World ROM Powerbooks. February 13, 2015 Bought two of these 60BG drives, one each for a Wallstreet and a Pismo laptop. Works great in the Pismo... faster start-ups, longer battery life. Unfortunately, the Wallstreet won't recognize the drive (Old World ROM issues? ), so I have a spare. Also bought the 120GB version for an early 2005 12" G4 Powerbook and have had the same positive results as with the Pismo. I would recommend this item to a friend! This review is from 60GB Mercury Legacy Pro 2.5-inch 9.5mm IDE/ATA Solid-State Drive. Rating: 5/5 New Life to Older Laptop November 11, 2014 I bought this SDD to replace the 80gb HDD in an old SONY laptop that was fried when someone hot-swapped it. This device was wonderful from the get-go. Using the Windows 10 Beta OS briefly, the laptop booted up from a cold start to Internet access in just 24 seconds (not bad for a Pentium M processor). Using Windows XP, bootup is 45 seconds. Best you could expect from a laptop this old. Rating: 4/5 Excellent performer, though could have slightly better build quality. September 29, 2014 Upon receiving and unpacking my OWC SSD, I noticed the logic board/board of the SSD being a bit loose and unmounted from the blue enclosure, though, it didn't move much, nor was it damaged. I plugged it in my PowerBook, and it performed very well. My machine boots times faster than what I ever would have expected, and the loose board doesn't cause any problems, nor does it hinders it's performance. It boots just as fast as a new 13" MacBook Pro, and launches apps fast, as well. I would definitely recommend OWC to anyone for computer parts. Rating: 5/5 OWC Mercury SSDs come thru again! August 28, 2014 I put this drive in an aluminum PowerBook for a friend. It made a huge difference in boot time and speed. This was my third Mercury SSD purchase. Rating: 5/5 Makes Old Laptop zing May 18, 2012 After installing this drive in my old Toshiba Tecra 1.4 Ghz laptop with Win XP SP3 installed and lots of apps. Bootup time went from about 3 Minutes to about 50 to 70 Secs. Full recovery from standby mode was near 60 secs before, now it is 6 secs. 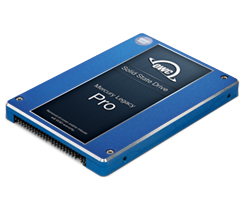 After experiencing the response of this drive ,which is one of the slower legacy Mercury SSDs. I'm getting a SATA 3g for my Work G5 which I expect will scream compared to it's present Disk drive. The only negative I had was that the drive is slightly thicker than the Hard Drive so that I had to modify the metal carrier to get it to fit.